7 games not enough? We are excited to announce next season our Scheels 14-game pack. All-you-can-handle food and drink. 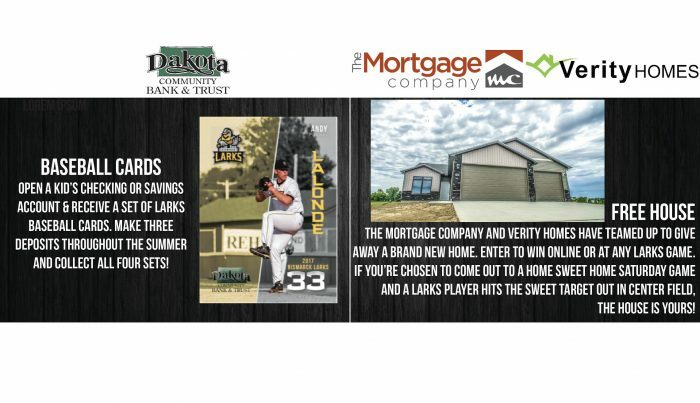 The best giveaways the Larks have to offer. Your own seats with a great view of the ballpark. What if we told you that you could have all of that for less than the cost of going to the movies? 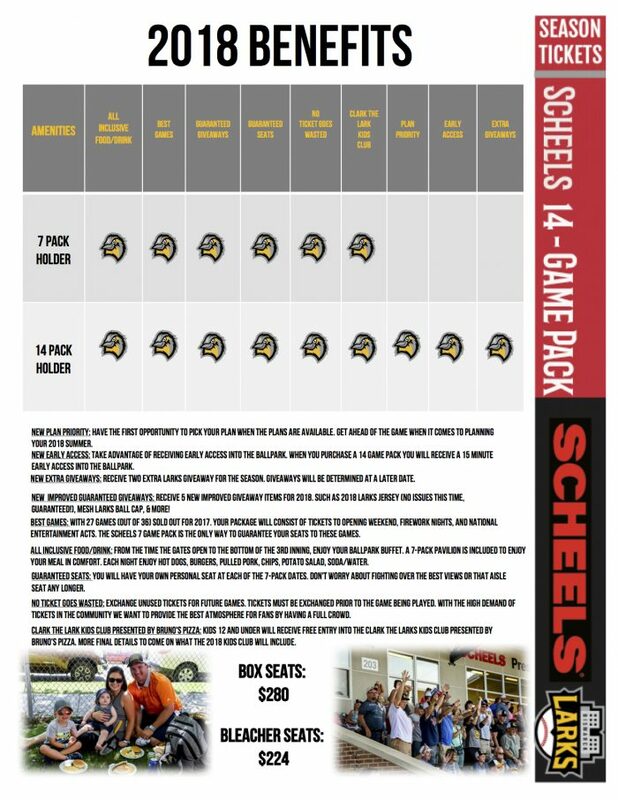 With the Scheels 14-Game Ticket Package, you get all of that and more. You receive all the perks of a season ticket holder without the commitment of 36 games. What games should you choose? No worries; we pick 14 of our top attractions that guests most want to attend. We’re talking fireworks, entertainment acts, celebrities, and more.